Loads of bits and bites that are all over the map for this week’s Doddle Digest! Lots of pieces of genre news from all corners of Hollywood including Star Trek, The Walking Dead, Spawn, and The Expanse. We also got some Star Wars follow up for Solo and beyond so let’s start with that. 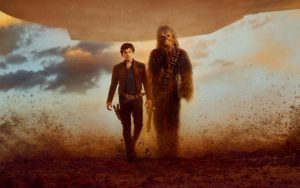 Let’s start with the elephant in the room, Solo: A Star Wars Story isn’t doing too well at the box-office. The film made $103 million at the domestic box-office and only $65 million worldwide over the weekend. Compared to Rogue One‘s $290.5 million opening weekend and the estimated $250 million budget, $168 million is disappointing for Lucasfilm. The Hollywood Reporter estimates that the movie won’t do more than $400 million and conjectures that the five month gap between Solo and The Last Jedi might have had something to do with it. 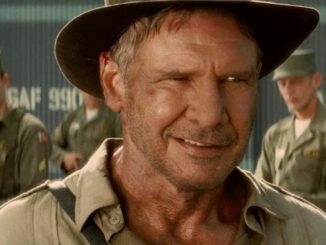 What we should really note is that while the numbers are soft, the film isn’t a disaster at the box-office and was a personal best opening for Ron Howard. I don’t want to talk too much about it because I don’t want to affect the way that fans get to see these films…When we were kids, these movies came to us from far away. They were a gift. And the more we talk about how they’re made, the more it reveals that they’re just movies. But they’re not just movies, they’re more than that. Beyond that, I got the opportunity to tell a story that is a celebration of everything I believe in, I got to tell it to George Lucas and I got to tell it to Luke Skywalker, and those are experiences I will cherish for the rest of my life. 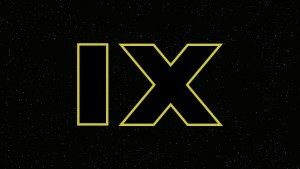 No juicy tidbits there but rumor has it that whatever those ideas that Trevorrow had for the ninth film in the main Star Wars saga, Lucasfilm president Kathleen Kennedy wasn’t happy with the drafts that were turned in based on them. Eventually, Trevorrow was let go and replaced with The Force Awakens director J.J. Abrams who is happy to get a chance to close out the trilogy he started. 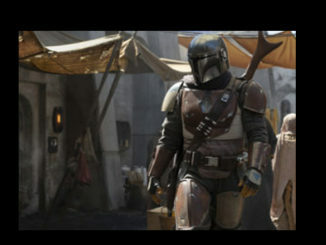 We know very little about the upcoming Star Wars live action television series being created by Jon Favreau. 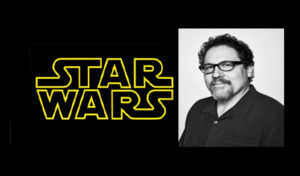 Nerdist’s Dan Casey reported that Favreau confirmed one thing which is that his series is set seven years after Return of the Jedi. There is a 21 year gap in the Star Wars canon starting 3 years after Return of the Jedi so that really doesn’t give us any idea about what his series will be about but he has said that the series would star all new characters. 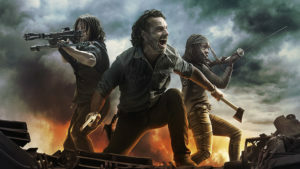 Collider is reporting that Andrew Lincoln who plays the lead character Rick Grimes in The Walking Dead will be leaving the show in its ninth season. Deadline and TV Line are reporting that Lauren Cohan who plays fan favorite Maggie is also leaving the show in the upcoming season. To compensate for the loss of both of those characters, according to The Hollywood Reporter, Norman Reedus who plays Daryl will be paid more than $20 million to become the new lead of the series. That means Daryl and Carol seem to be the only main characters who are still with the show since season one. We are thrilled Jamie Foxx will be playing the title role in our movie adaptation of Spawn. He is an incredible actor and a huge fan of the Spawn Universe that Todd McFarlane created. 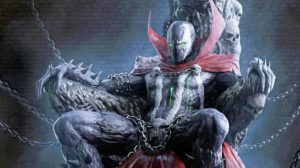 With the depth of talent Jamie can commit to the role and Todd at the helm bringing the world of Spawn to life, we could not be more excited for this film. The scariest movies, from Jaws to John Carpenter’s The Thing, or The Grudge and The Ring, the boogeyman doesn’t talk. It confuses people because of the comic book industry, and because they all default into their Captain America mindset and I keep saying, no, get into John Carpenter’s mindset or Hitchcock. This is not a man in a rubber suit, it’s not a hero that’s going to come and save the damsel. It’s none of that. At the end of the movie, I’m hoping that the audience will say either, is this a ghost that turns into a man, or is it a man that turns into a ghost? I’ve got a trilogy in mind here, and I’m not inclined in this first movie to do an origin story. I’m mentally exhausted from origin stories. Luckily, there’s a movie that just came out that helps my cause. In A Quiet Place, the first thing on screen is a card in black and white letters that says Day 89. It doesn’t care about what happened in those first 88 days. There are a couple headlines, but then we are on day 450. That movie doesn’t worry about explaining and giving all the answers. What it said in that case was, if you can hang on for a story of survival of this family, this movie will make complete sense for you. I’ll be surprised if he pulls this off. If so, it will be very different than what we’ve become accustomed to recently when we talk about superhero movies. Growing up, Top Gun was one of my favorite films to watch on VHS. When I re-watched it years later I have to admit that I enjoyed it more for nostalgia’s sake rather than on its own merits. It’s not a film that is particularly big on plot but it did have a lot of style. 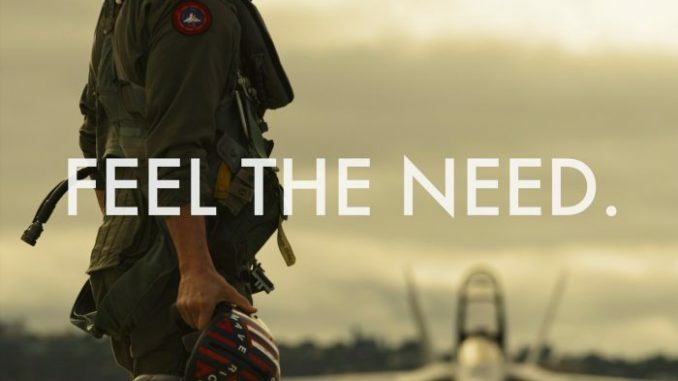 I’m not sure what Cruise and director Joseph Kosinski have planned for this film but we do know that despite the film taking place in modern day, it will still have the same stylistic choices as the original and will still be a competitive film. Personally, I just hope they keep the theme song with the guitar solo exactly the same. I don’t want that song updated and they should make no changes to it. Do that one thing and I will be completely onboard with this film. 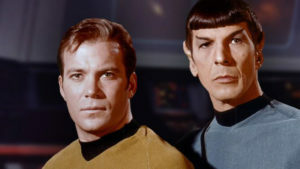 I was hired to write a stand-alone ‘Star Trek’-related trilogy, [details of which] I can’t discuss or I’d have to kill you. [Laughs] I was writing it for CBS [All] Access… but at the moment CBS is at a war with Paramount/Viacom [about merging]. Sounds like the project is on indefinite hold until CBS, Viacom, and Paramount can all come to an agreement. This is the first bit of news as to what he was working on and even though he called it a trilogy, I assume it would be more of a three-part miniseries rather than 3 independently shot films. I was talking to the cast half an hour ago, before the break for dinner started. I was telling them that we are working hard at Amazon to save The Expanse but it wasn’t a done deal yet. During dinner, ten minutes ago, I just got word that The Expanse is saved. The show is extraordinary and these guys are unbelievably talented. This took place an hour after The Expanse panel at the same event so some of the cast and crew were on hand. I’m a fan of the show but I think it being called the next Battlestar Galactica or Game of Thrones in space is an exaggeration. It’s a very good series and the books are fun so I’m happy it was saved — especially when you consider Meyer’s Star Trek on hold and Favreau’s Star Wars series still a long way from premiering. Not much out there in terms of space operas. All-in-all, a pretty mixed bag of a week.